Hot off the presses: just published today! Nope. Not a sale price. Just an awesome book by an awesome guy who seriously practices what he preaches. You can trust him. 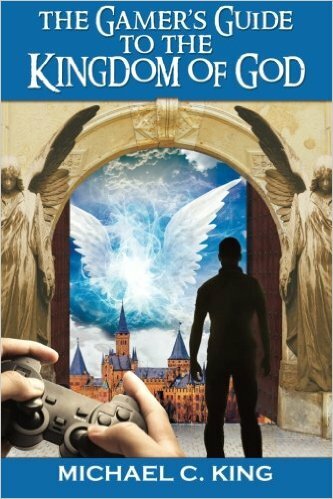 In this one of a kind book, author Michael King takes you on a spiritual voyage into the world of Role-play gaming, making comparisons between gaming and life in the Kingdom of God. He uncovers how you can perform quests, level up, and even use powerful skills and abilities to defeat enemies as a follower of Jesus Christ. While geared toward gamers, this book is written so that anyone can understand these timeless spiritual truths, with significant revelation and impact on daily life. If you are ready to take your spiritual life to a whole new level, Log On and let the games begin! This is a brand new book by one of my favorite authors, from whom I’ve learned so very much. This is not a “Free or nearly free” publication. Revelation has always fascinated me. As a theologically curious seventeen-year-old, I read every Watchman Nee book I could get my hands on. Of them all, the one that most captivated my imagination was The Orthodoxy of the Church, a ninety- page work on the seven churches in Revelation 2–3. Yet when I reached the end, I felt stunned and disappointed, because I had wanted to understand what was going on with those historical churches in the first century, and Nee had not told me. 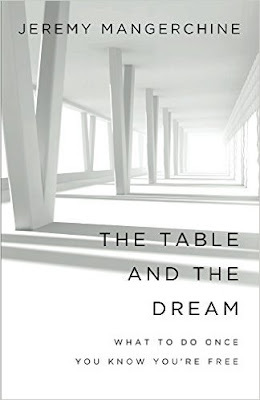 For the most part, those from a dispensational background, like Watchman Nee, spiritualize the seven letters into seven time periods of Church history without looking at the historical context. And those who are not dispensationalists typically ignore them. The reason so many people have overlooked these letters is, at least in part, because they do not think they are relevant to us. In the years since my disappointment with Nee’s book, I have read other more historically thorough sources, and I have done my own research, including traveling to and touring the modern locations of each of these seven churches. 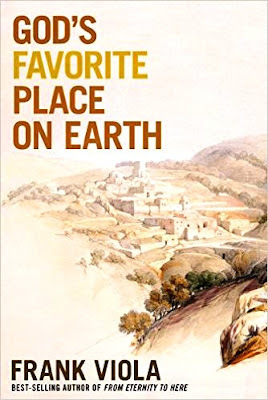 In doing so, I’ve discovered an incredible list of connections between the cultural, geographical, and historical events of the first century in these cities and the contents of Jesus’ letters to them. Now, many years later, I’ve written the book I wish I had read when I was seventeen and eager to understand what these beautiful yet cryptic letters were all about. Many commentaries on the Book of Revelation give the seven letters little to no coverage. Here, I am attempting to correct that oversight by making them the center of conversation. Though many have seen them as periphery, I believe these letters hold significant and relevant information that influences our understanding of the Book of Revelation as a whole and that holds practical relevance for our lives. I hope and believe that what I share here will make these often misunderstood letters clear in the light of history. The Table and the Dream: What to Do once You Know You're Free: Brand New from Jeremy Mangerchine! 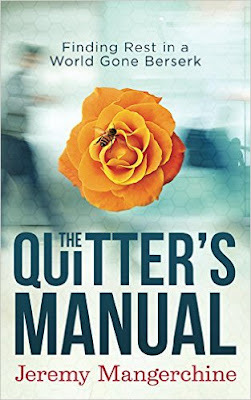 This is a brand new book by one of my favorite authors, on a pretty darned important topic. So you’re free! That’s great! You’ve been swept into new realities of grace and freedom. You’ve grasped the truth that you now possess absolute liberty in the unconditional love and grace of a truly wonderful God. You’ve dipped your toes in the abundant pool of new possibilities. But you know this is only the beginning. What does being free really mean? Where do you go from here? How do you even begin to define the possibilities? Are there limitations? What barriers stand between you and realizing true greatness? There’s clearly a lot more to life now, and you long to experience all of it. So come on. Dive behind the scenes into one man’s divine expedition. Follow Jeremy far into this land of discovery. Learn with him to tap into the greatness of God, to face longstanding fears, and to emerge on the other side owning a life which absolutely bursts with abundance. You can explore the very heart of God and, discover the full measure of your own true identity and calling. Together with God, you can co-create a vibrant, rewarding new life. From the author of the twenty-five-million-copy bestseller The Shack comes a captivating new novel destined to be one of the most talked-about books of the decade. Eve is a bold, unprecedented exploration of the Creation narrative, true to the original texts and centuries of scholarship—yet with breathtaking discoveries that challenge traditional beliefs about who we are and how we’re made. Eve opens a refreshing conversation about the equality of men and women within the context of our beginnings, helping us see each other as our Creator does—complete, unique, and not constrained by cultural rules or limitations. No one but Eve, Mother of the Living, who calls her “daughter” and invites her to witness the truth about her own story—indeed, the truth about us all. 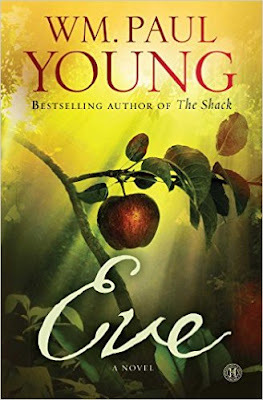 As The Shack awakened readers to a personal, non-religious understanding of God, Eve will free us from faulty interpretations that have corrupted human relationships since the Garden of Eden. The world around you is berserk! The pace of life careens so quickly that your head spins from dawn to midnight in an onslaught of input and activity! Guess what? It’s only getting faster. As you pitch and yaw down the narrow path between crazy-busy and completely overwhelmed, life itself loses value. To regain control, you take a day off or book a vacation, but, upon returning, you’re immediately sucked back into a state of inner chaos. Resistance seems futile. Here’s the solution: Give Up! Quit! Climb out of the hamster wheel and discover real life! 2. How to enter rest. 2. How to live a life of constant rest. 3. How to re-enter rest when you find yourself slipping back into chaos. It’s time for you to gain mastery over yourself. Stop chasing rest and learn how to quit. You’ll be amazed how rich life can be for those who find and live from a place of rest. When He came to earth, Jesus Christ was rejected in every quarter in which He stepped. The Creator was rejected by His own creation. "He came to His own and His own received Him not," said John. For this reason, Jesus Christ had "no where to lay His head." There was one exception, however. A little village just outside of Jerusalem named Bethany. Bethany was the only place on earth where Jesus was completely received. God's Favorite Place on Earth is a retelling of Jesus' many visits to Bethany and a relaying of the message it holds for us today. Frank Viola presents a beautifully crafted narrative from the viewpoint of Lazarus, one of the people who lived in Bethany with his two sisters. This incomparable story not only brings the Gospel narratives to life, but it addresses the struggle against doubt, discouragement, fear, guilt, rejection, and spiritual apathy that challenges countless Christians today. In profoundly moving prose, God's Favorite Place on Earth will captivate your heart with its beauty, charm, and depth. In this book you will discover how to live as a "Bethany" in our world today, being set free to love and follow Jesus like never before.